The information that the app is built on is the result of years of research and development in the biofuels management industry. Genera Energy, Inc., a top bioenergy supply chain management company, and a worldwide leader in feedstock development and supply chain innovation announced the launch of its first mobile agriculture app, Biomass. The Biomass app was developed to serve as a practical, easy-to-use mobile crop planning and learning tool for biomass farmers and landowners. The Biomass app offers features such as a biomass crop library complete with detailed information, photos and range maps for the most utilized biomass crops in the U.S., along with the ability to overlap crop ranges in a live, interactive map function. Another key function is a multi-function biomass calculator that helps the user determine how much biomass they’ll need for their specific situation, including conversion technology, conversion rate, and location. The results can then be emailed to the user if desired. 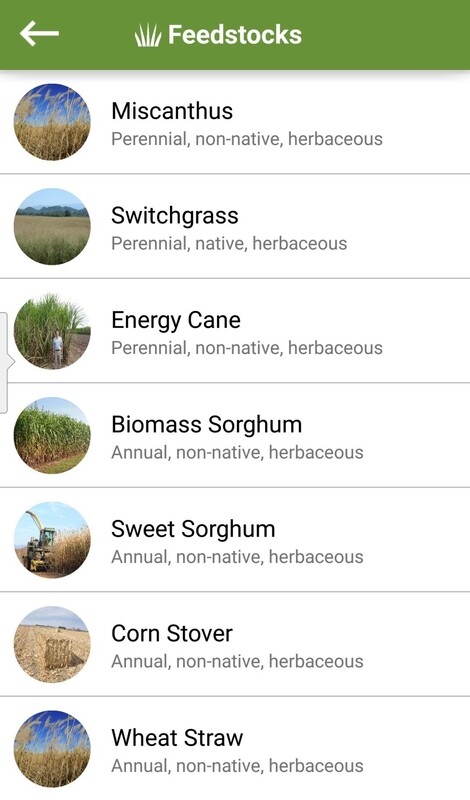 For those wishing to convert biomass to biofuels, biochemical, bioproducts, or biopower, this app will provide realistic projections and crop suggestions based on actual, in-the-field studies and crop outcomes. The free version of the app is now available for both Apple- and Android-based devices. Visit the Google Play Store or the Apple App Store to download the app today.